Designed for those who are dedicated to getting their miles in regardless of the weather, the Tracer Tights are form-fitting running tights ideal for quick road runs around home or longer forays on the trail. The gusseted construction is optimized for full mobility, and reflective back ankle zips aid in visibility and accommodate a variety of footwear. Icebreaker also included a zippered stash pocket for your car key, cash or other small essentials. Tracer Tights - Mens is rated 4.7 out of 5 by 9. Rated 5 out of 5 by StuA from Made for the cooler mountains I admit I am an Icebreaker addict, almost all my running gear is icebreaker merino; running tops, socks, gloves and hats. Now I have added my second pair of running tights. These are just as you would expect; incredibly comfortable to wear, keep you at exactly the right temperature no matter how far up the mountain you get. I still don't know how merino does it, but even when wet I am still warm as long as I keep moving, so they work great in rain, sleet and snow as well as those wonderful blue sky cold days. Rated 4 out of 5 by TammyT from For skiing Unisex and comfy. 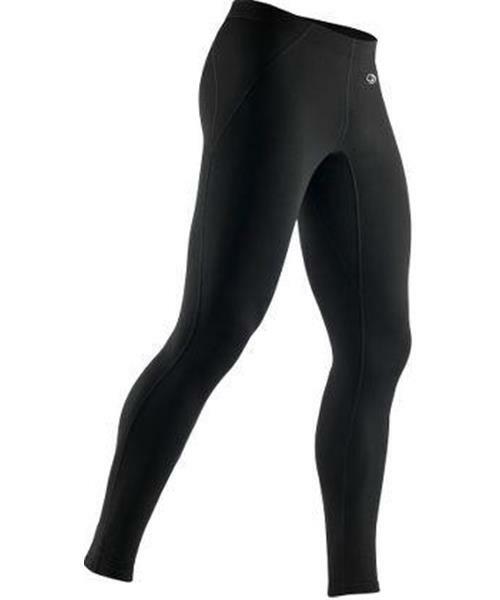 Can be use as a underwear for downhill or as top layer for cross-country skiing. Rated 5 out of 5 by gjb1 from Amazing These tights are the most comfortable thing I've ever worn on my legs. I'm not kidding. Rated 5 out of 5 by Les67 from Hiking In Bush At 40 below Perfect Fit , Keeps Your Legs Warm At 40 Below .. Will Buy Another Pair For Sure ! Rated 4 out of 5 by Weejoep from Finally! Icebreaker gear for cycling! I missed the cycling shorts available a few years back, and have become so hooked on merino that it was almost breaking my heart to wear synthetic tights along with my merino base and middle layers and cap. They look and feel great, though at 5'5", the Small runs a little long on my short legs, so the reflectors are a wee bit bunched up; but the zippers for getting in and out are great! I'm not big on logos in general but for Icebreaker I'd happily advertise. This logo gets covered by my top mid layer, but maybe that's the idea—keep it discreet rather than place on outer thigh or ankle. Working well over IB leggings in 5C; it'll get colder soon and hoping these will continue to keep out the cold. Will then break out my newly acquired IB balaclava!